Priyanka Chopra and Nick Jonas, who are reportedly looking forward to get married in December, are one step closer to their upcoming wedding. Several international websites, including The Blast and E News, have reported that that the star couple recently obtained a marriage licence. As per The Blast, Priyanka and Nick went to the Beverly Hills Courthouse last week and filled up the paperwork to obtain the license. In the US, couples who obtain the marriage licences have about 30 to 60 days from the date of their issuance to get married and submit the paperwork. Rumour has it that Priyanka and Nick's wedding will be hosted in India's Jodhpur and the venues will be the Umaid Bhavan Palace and Mehrangarh Fort. "We're told the couple plans on bringing the licence with them to India for their wedding in December and then eventually filing the licence in the US to make the marriage official in both countries," The Blast report stated. 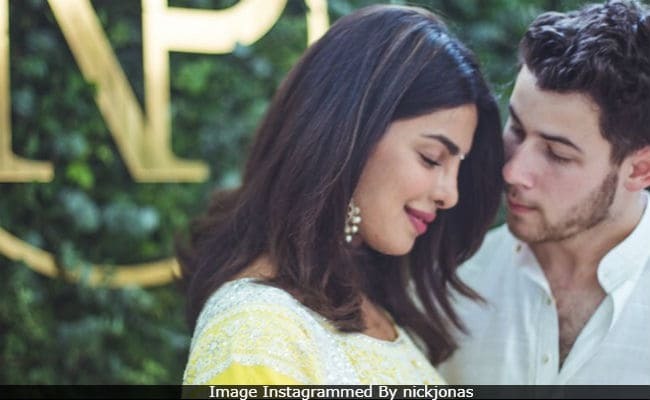 Priyanka Chopra, 36, and Nick Jonas, 26, got officially engaged in August in Mumbai. An intimate roka ceremony was held at the actress' Mumbai home. All of last week, Priyanka was busy with her bridal shower and later, she took off to a bachelorette trip to Amsterdam. Here are some of the pictures from both these parties. She returned to India just in time to celebrated Diwali with family. Priyanka Chopra and singer Nick Jonas met at last year's Met Gala, but reportedly started dating only this year in May.